Robert was born in North Yorkshire and was educated in York. He went to the University of Newcastle upon Tyne where he received a Bachelor of Science degree in agriculture. He is a farmer on the 250 acre family farm at Terrington near Malton where the family have farmed since 1850. 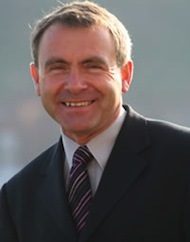 Between 1999 and 2004 Robert was one of Yorkshire’s 3 Conservative Members of the European Parliament. During his tenure Robert was Deputy Leader of the Conservative MEPs as well as spokesman on Environmental Policy. A staunch Eurosceptic, Robert's commitment to restore vital powers back to this country has been reinforced by his spell in Brussels. Robert has leant his support to local people's campaigns in the Scarborough and Whitby area. Most notably pressing for the upgrading of the A64 which currently limits business and tourism development on the East Coast and campaigning to improve local health services. Robert was first elected in May 2005, winning the seat from Labour. He served 18 months as a Member of the Transport Select Committee. In 2006, Robert was promoted to the front bench, serving in the Opposition Whips’ office having departmental responsibilities for DEFRA business. In July 2007 Robert was promoted again to the post of Shadow Roads Minister in the transport team. Robert was re-elected for a second term at the General Election 2010 and increased his majority from 1,247 to 8,130 achieving a swing of 6.9% from Labour to Conservative. In May 2010 Robert was appointed by the Prime Minister David Cameron as an Assistant Government Whip and shortly after this was promoted to Pairing Whip in the Government Whips' Office. In October 2013 Robert was appointed Parliamentary Under Secretary at the Department for Transport, and in December 2015 Robert was promoted to a Minister of State. in July 2016 The Prime Minister Theresa May moved Robert to the Home Office as a Minister of State for Immigration. After snap election in May 2017, Robert retained his seat and has been re-elected as MP for Scarborough and Whitby for the fourth time. Robert was appointed as a Minister of State for Education in June 2017.